Wanda “Jean” Osborne was born on June 14, 1927 the daughter of Cleo and Myrtle Osborne. She was the oldest of 5 children. Wanda attended Central High School and graduated in 1946. She married Earl G. Gregg on January 12, 1951. 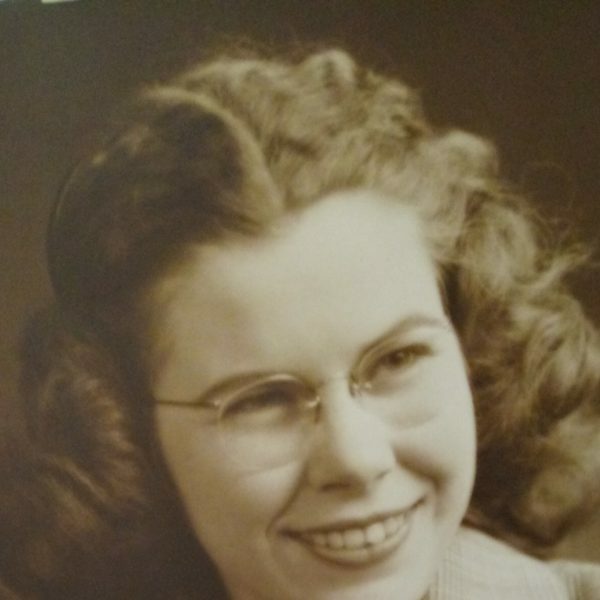 Wanda worked for John Deere, her fathers business; The Osborne Produce Co., the Tag Agency and Tinker Air Force Base where she was the assistant to the General in charge of Tinker and where she also met the love of her life Earl. She was involved in her children’s school activities, The Camp Fire Girls and The Boy Scouts. She liked spending time at Lake Texoma as well as fishing and traveling. Wanda was preceded in death by one brother, Billy Don, her parents Myrtle and Cleo Osborne. Two sister in laws, Sayoko (Jimmy), Jane (Bobby) and by her brother in law Haskel “Chuck” Wilkins (Betty) also by brother and sister in laws Erphie and Dru Gregg and Charles and Teletha Hunter and by one great grandson Josh Lovelady. Jr. and by her beloved husband, Earl. She is survived by her daughter, Myra Richardson (Marion) of Oklahoma City and her son David (Wendi) also of Oklahoma City, her brother Bobby Osborne of San Antonio, Texas, her sister Betty Wilkins of Blanchard, OK and her brother Jimmy Osborne of Security, CO. Twelve grandchildren, 20 great grandchildren and a host of nieces, nephews and friends.